Luke Fischer – Photo Courtesy of Marquette Athletics. The Milwaukee Bucks NBA draft prospect workouts are winding down. Among the six players in on Monday is Marquette center Luke Fischer. The Golden Eagles big man played in 32 games with 25 starts last season. 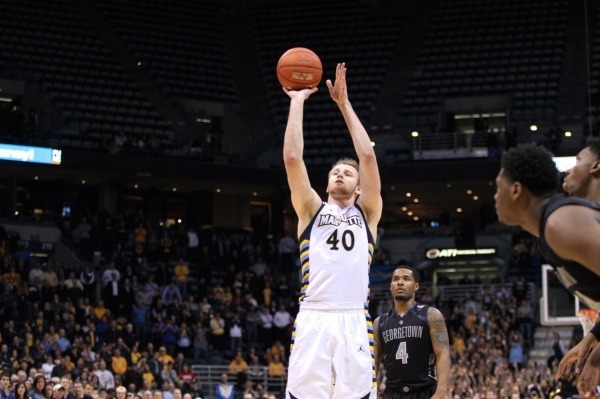 Fischer averaged 10.9 points and 5.9 rebounds a game for Marquette. The Bucks may hold one more workout on Tuesday. They have the 17th and 48th selections in the upcoming 2017 NBA Draft, which will be held June 22 at the Barclays Center in Brooklyn, N.Y. 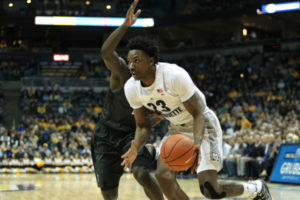 The Marquette Golden Eagles closed out the regular season on Saturday with a 81-83 win over Creighton in Big East action at the Bradley Center. Senior Jajuan Johnson had 20 points, 18 coming in the first half, to lead Marquette (19-11, 10-8 Big East). Johnson hit a career high four three-pointers as the Golden Eagles built a 10-point lead (52-42) at halftime. Marquette as a team hit 14 of 28 three-point attempts and led by as many as 18 points in the second half. For most of the season, the Marquette Golden Eagles defense has been an issue. Last night, the offense took its turn in the Golden Eagles 68-65 loss to Butler in Big East play at the BMO Harris Bradley Center. Marquette (15-9, 6-6 Big East) trailed by seven at halftime. But the Golden Eagles battled back with some solid defense and took the lead midway through the second half. But Butler (19-5, 8-4) regained the lead just a couple of minutes later and never trailed again. The Marquette Golden Eagles failed to make plays down the stretch and it cost them, falling to Seton Hall 69-66 in Big East action. The Golden Eagles (10-4, 1-1 Big East) led 66-63 with 32.1 seconds left but couldn’t secure rebounds or loose balls, failed to pull down rebounds and turned the ball over. The lack of playmaking allowed the Pirates to rebound for the win. Luke Fischer had 12 points and seven rebounds before fouling out late. Jujuan Johnson added eight points, eight rebounds and six steals. Angel Delgado led Seton Hall (11-3, 1-1) with 18 points and 12 rebounds for his 33rd career double-double. The Marquette Golden Eagles jumped out to a big first half lead, leading by as many as 22 points, then had to hang on to beat Fresno State 84-81 at the BMO Harris Bradley Center. Fresno State shot 63% from the field in the second half and cut the Golden Eagles lead to just two points in the final minute. Thanks to some solid free throw shooting (23 of 29), Marquette held on. Freshman Sam Hauser led Marquette with 19 points, making four of his seven three-point shots. He also made four of six free throws in the final minute. Senior Center Luke Fischer had 18 points and five rebounds and freshman Markus Howard added 10 points and four assists. Terrell Carter II had 21 points to lead Fresno State. The Golden Eagles will host Wisconsin on Saturday. Steve Wojciechowski benched his seniors to start the game and the Marquette Golden Eagles responded with a 104-79 win over IUPUI on Tuesday night at the BMO Harris Bradley Center. Luke Fischer, Katin Reinhardt and Jajuan Johnson started last night’s game on the bench and responded with good minutes off of the bench. Reinhardt entered the game shooting just 27.5% from the field. While he hit just 3 of 10 from the field last night, Reinhardt made 2 of 5 three-point shots and was a perfect 8-for-8 at the free throw line. Johnson finished 5-of-8 from the field, scoring 11-points. Fischer went 6-for-6 from the field and despite foul trouble, finished with 14-points. As a team, the Golden Eagles shot 57% from the field and hit 23-of-26 from the free throw line. Sophomore Haanif Cheatham led all scorers with 22 points for Marquette. Marquette fell behind early and trailed by 24 points at halftime, suffering a 79-61 loss to the Michigan Wolverines in the semifinals of the 2K Classic at Madison Square Garden. Marquette (2-1) got 19 points and five rebounds from Luke Fischer, 12 points, eight rebounds and four assists from Haanif Cheatham and 11 points from Jajuan Johnson in the loss. The Golden Eagles trailed by as many as 29 points, but closed the gap in the second half with a 15-2 run, drawing within 67-55. 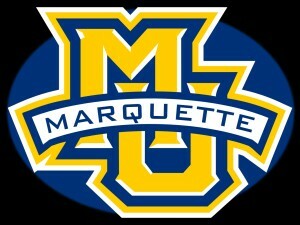 But that is as close as Marquette would get. Michigan shot 59 percent in the opening half and 51 percent for the game. The Golden Eagles also helped out by committing 12 of their 15 turnovers in the first half. Michigan put five players in double figures, led by Zak Irvin’s 16 points. Marquette will face Pittsburgh at 3:30pm this afternoon. Luke Fischer made two free throws with 1.2 seconds left to give the Marquette men an 88-87 victory over Georgetown in the Golden Eagles’ home season finale in Milwaukee. Fischer poured in a career high 23 points, finishing 9-of-11 from the field and 5-of-6 from the free throw line. Marquette freshman center Henry Ellenson left midway through the second half with an ankle injury. The Golden Eagles blew an eleven-point halftime lead, but they prevailed as they traded baskets and the lead near the end before Fischer capped it with his free throws. 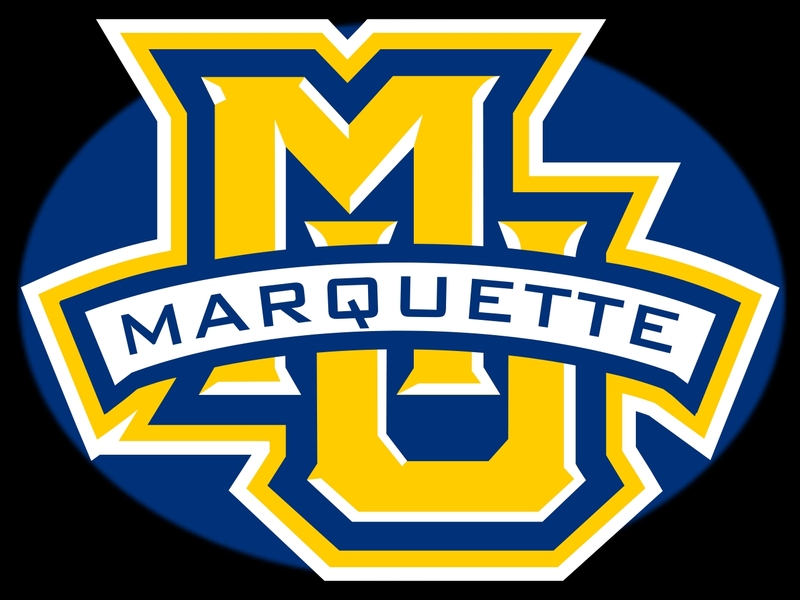 Marquette took over sole possession of the number seven seed for next week’s Big East Conference tournament. The Golden Eagles improved to eight-and-nine with the victory. The Golden Eagles close out the regular season at Butler on Saturday. For the second time this season, Seton Hall took a close game in the second half and turned it into one-sided victory, pulling out a 79-62 win on Wednesday night in Newark, New Jersey. The Golden Eagles trailed by three at halftime and after a run midway through the second half, was also down three with 11:05 left to play. 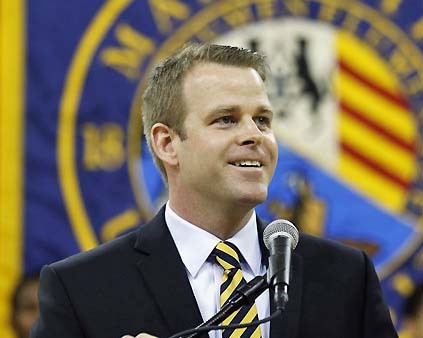 But Seton Hall (16-6, 6-4 Big East) hit three straight threes the Marquette wouldn’t get within single digits for the final eight-plus minutes of the game. Sophomore guard Isaiah Whitehead scored 14 of his game high 21 points in the second half, adding eight assists, six rebounds, three blocks and two steals. Angel Delgado added 19 points and 13 rebounds for his eleventh straight double-double. Luke Fisher scored 17 points and Jajuan Johnson added 15 for Marquette (15-8, 4-6 Big East) in the loss. Henry Ellenson finished with ten points and ten rebounds for his 14th double-double of the season. Wisconsin still leads the all-time series, but for now, the Marquette Golden Eagles have grabbed bragging rights with a 57-55 win over the Wisconsin Badgers at the Kohl Center on Saturday. Henry Ellenson had 15 points and eleven rebounds and Luke Fischer had 12 points and scored a put-back basket with 27 seconds left to help Marquette hold off a late Wisconsin rally.